For me personally, highlights go beyond the research that was presented (ASH 2014 Outside the Box, addresses that in detail). It was about meeting friends…old and new (in person), attending the MPN Heroes Awards Presentation, the excitement of interviewing world renowned MPN/Leukemia experts, and self-discovery. – Dr Heinz Gisslinger, Vienna, Austria, A pioneer in the use of Interferon in MPNs, discussing AOP2014 (the new interferon). – Dr Richard Stone, Director Adult Leukemia Program at Dana Farber, discussing the new Rapid Heme Panel (test looking at 95 genes for blood cancers). – Dr Lee Greenberger, Chief Scientific Officer, Leukemia & Lymphoma Society reviewing their initiatives to halt early stage blood cancers. – ASH Outside the Box – PV Reporter’s First Hand Account from outside the Frontlines. Also featuring “Best of ASH” videos and articles of interest as they emerge. Check out the “Best of the Day” presentation from ASH 2014 in San Francisco, Dr Joseph Mikhael and Dr Srdan Verstovsek discuss the important clinical studies and late breaking updates on therapeutic strategies for treating Myeloproliferative Neoplasm (MPN) patients. 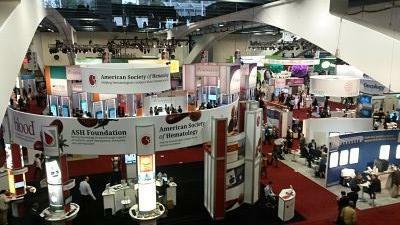 2014’s Annual Meeting of the American Society of Hematology proved to be a big year for research in the myeloproliferative neoplasms. Tens of thousands of experts in blood disorders in attendance proved that work in the MPNs is vigorous and ongoing. Our Scientific Advisor John Crispino, PhD, from Northwestern University, took part in the meeting. He’s reported back exclusively to us on what you need to know as a patient, caregiver, community hematologist or anyone working in the MPNs. Click here or the image below for the FULL REPORT in PDF format.